I had the amazing opportunity to tour Sunworks Farm and see firsthand how Ron, Sheila and Isaac raise their animals humanely. 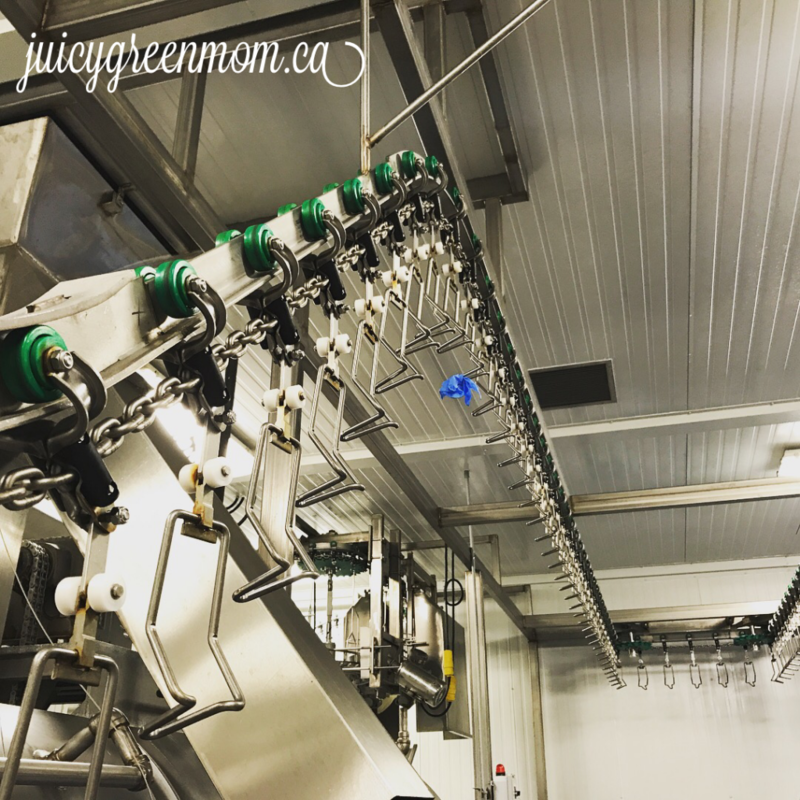 Not only do they have a beautiful farm of wide open spaces for their animals, but they also have their own processing plant on site. I also got to see the Sunworks Farm processing plant and how it works. Why is it a big deal to have their own processing plant? Holistic Management is described as a goal oriented approach to managing land, livestock, people and finances in a manner which is environmentally friendly and economically and socially sound. Ron and Sheila handle the birds then they’re alive. The birds are stunned and then dispatched quickly, and Sheila ensures every one is dispatched humanely. They process chickens once a week, and on that day they typically process about 2500 birds. A government inspector looks at every bird. The processing is a slow undertaking with staff at different stations in the plant handling each part of the process. Nothing gets wasted in the process. The blood and lungs removed from the birds get composted. Their staff separate the meat from the bone which is then ground to make their sausages. The remaining bones are sold to make bone broth. It takes 16-20 man hours to clean the plant after a processing session. 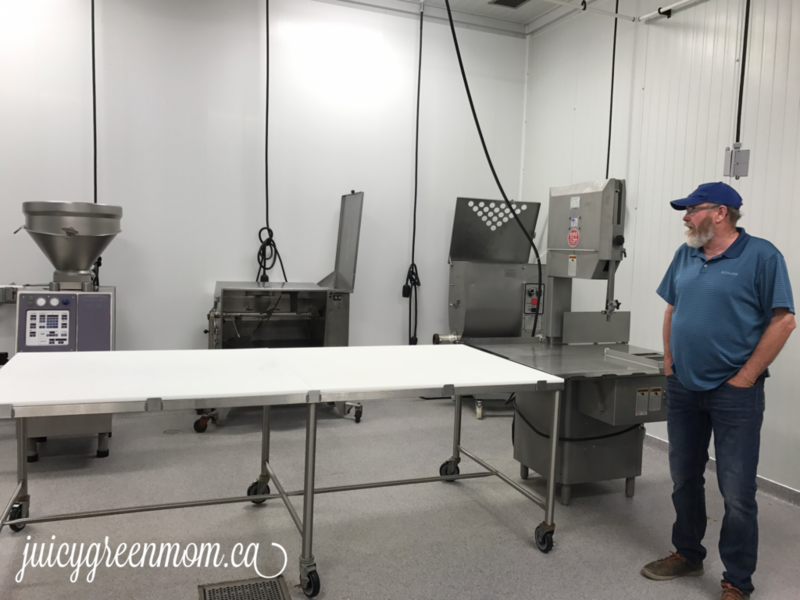 There is a smokehouse in the processing plant to make the meat products. No liquid cure used. No nitrites or nitrates are used. 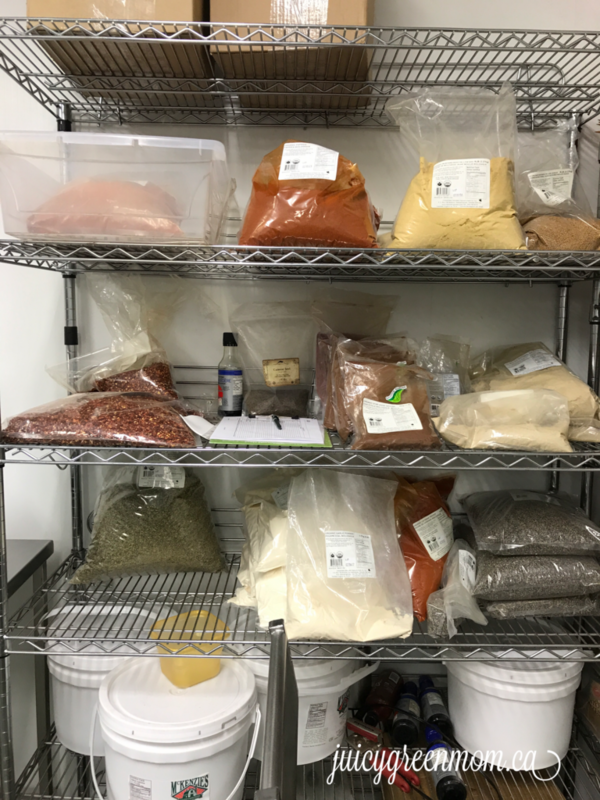 All of their meat products are 95% organic meat and 5% organic spices. Only collagen casings used. They produce 5000 lbs of sausage in 1.5 days. 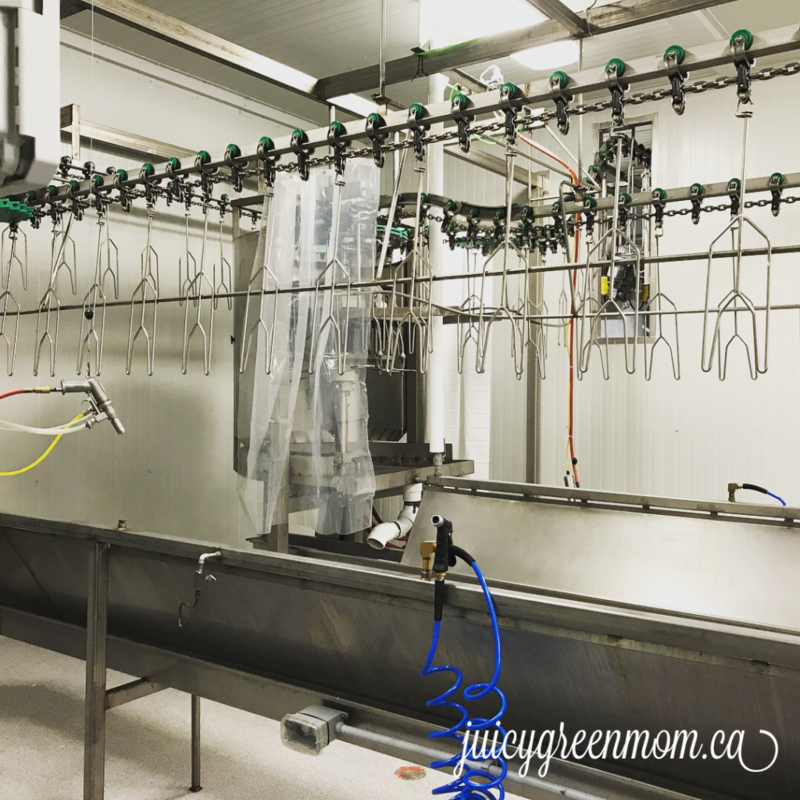 There is also a small red meat facility within the processing plant. They process 5-7 beef, 3-5 pork, and a few bison per week. Beef is aged for 10 days. 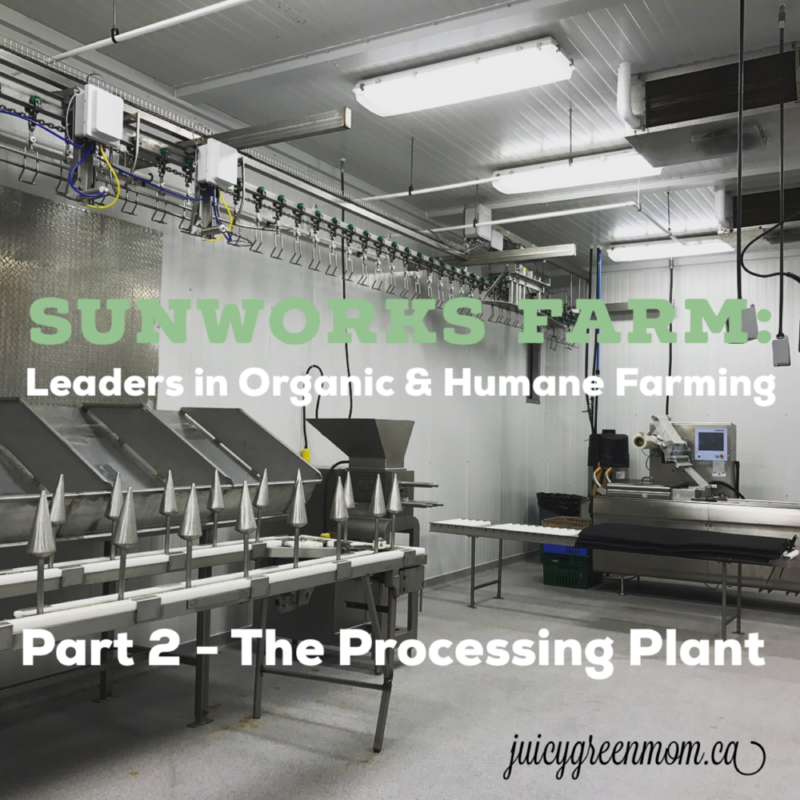 The integrity of the processing plant is just another reason that Sunworks Farm are leaders in organic and humane farming. 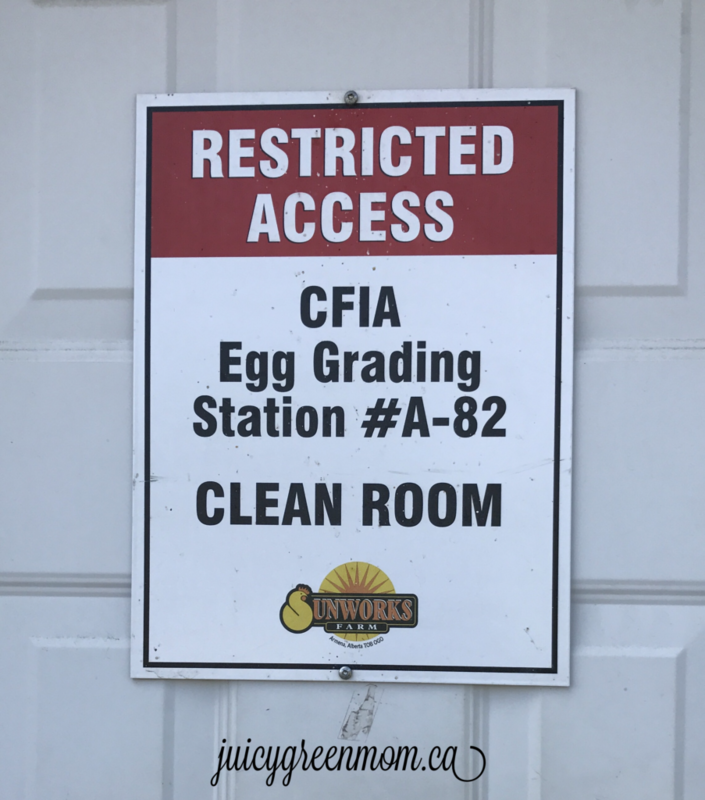 Sunworks Farm also has an egg grading station on site. 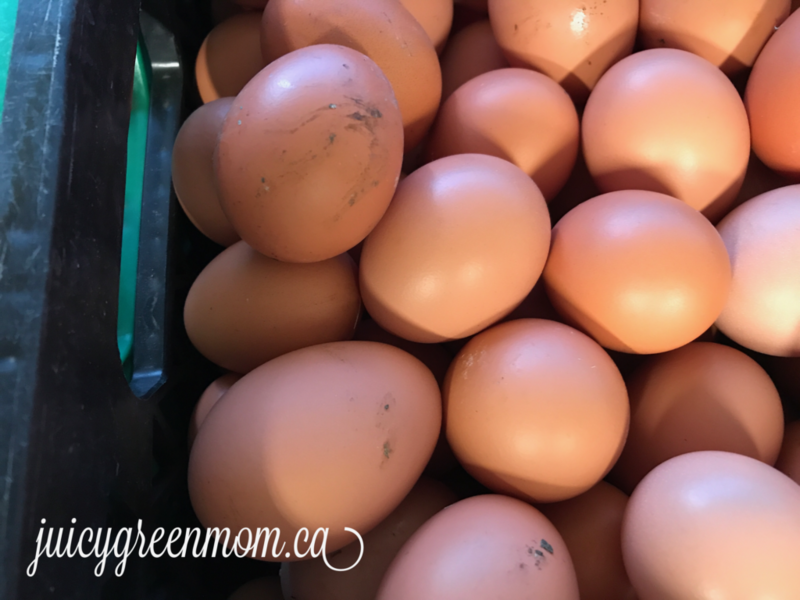 The staff hand pick the eggs, and also clean them by hand. 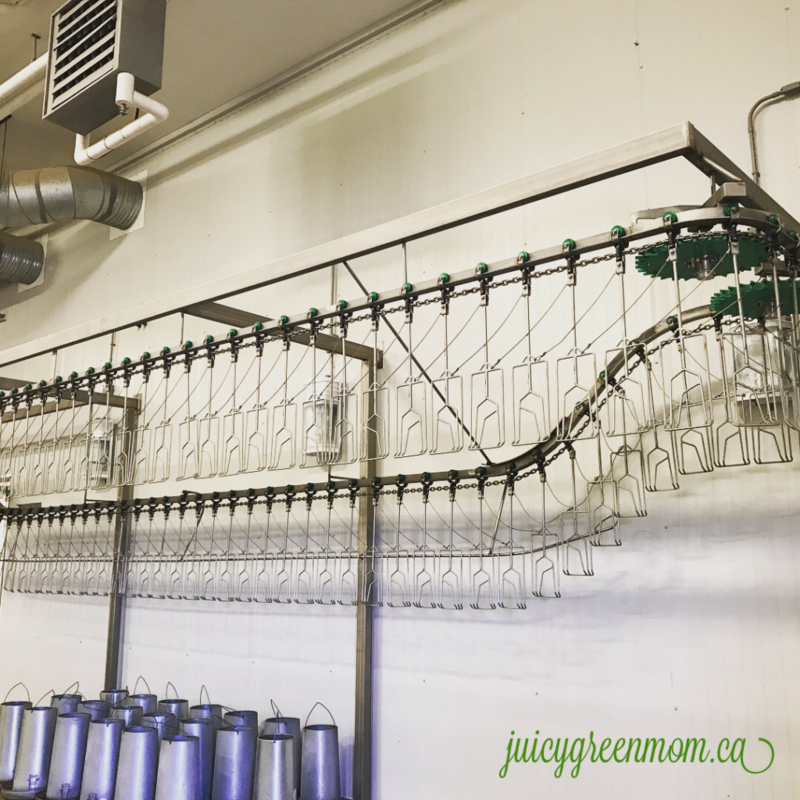 What are your favourite products from Sunworks Farm?